Yankees LF Billy McKinney left the game after the Smoak single after he crashed into the center field wall on the Donaldson double. Brett Gardener took over. 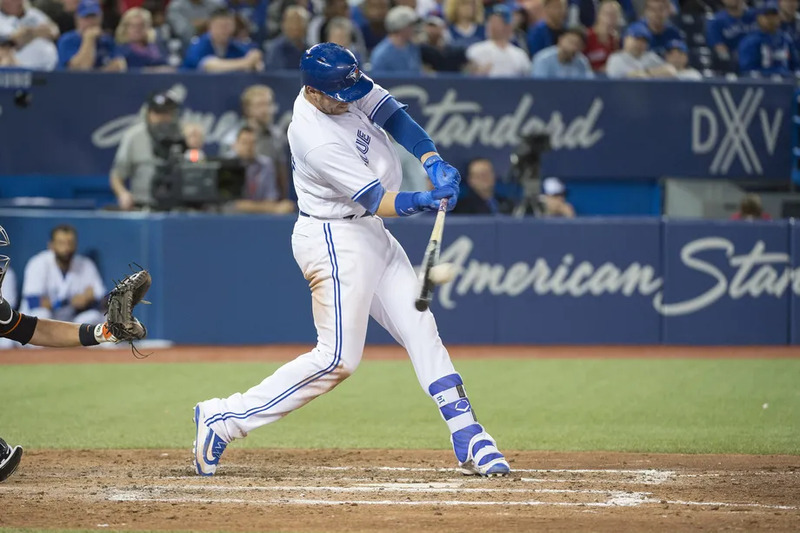 Smoak doubled the Blue Jays lead in the 3rd, bringing home Steve Pearce on a double. The next batter Luke Maille plated the Blue Jays third run, scoring Kevin Pillar from second. Luke Maille got his first start behind the plate. He and Marco Estrada did a great job in keeping the Yankees hitters off-balance with the fastball and change-up. Estrada going 7 innings saved the bullpen for tomorrow. Maille also drove in a run. The bottom of the Yankees lineup is where the Jays have struggled. Today Tyler Austin had a pair of HR to account for the Yankees offence. This is the way the Blue Jays need to manufacture runs. Gone are the days where they will knock the cover off the ball. Today Smoak drove in a pair of runs off base hits and Pillar created a run on a wild pitch after stealing third base. Great first win of the season. Series wraps up tomorrow with Marcus Stroman facing off against Sonny Gray.